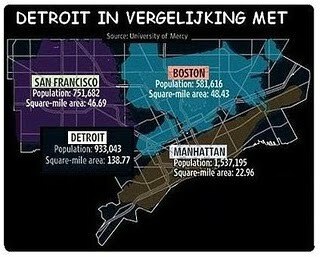 Erg, de neergang van de Motor City. Maar hoe erg precies? Over onder meer het racisme bij de opbouw van de autoindustrie en de gevolgen daarvan voor deze tijd. 'De betekenis van enige decennia massaproductie voor de geschiedenis kun je ook overschatten,' aldus de 95-jarige activiste en schrijfster Grace Lee Boggs. Aan het woord komen verder John Sinclair, beeldend kunstenaar Tyree Guyton en voormalig Motown-vedette Martha Reeves, die na haar hitcarrière de stedelijke politiek inging. 'A roller coaster story of the city's automotive industry through the testimony of the people who lived through it. 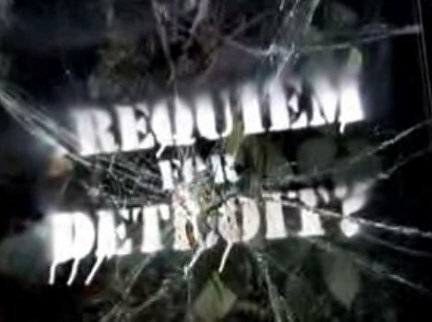 With vivid projections of the city's heyday on its now abandoned buildings – and the irrepressible music that continues to come out of Detroit, the documentary charts the rise and fall of the Big Three (General Motors, Ford and Chrysler), and the impact the decline of these giants has had on the city. 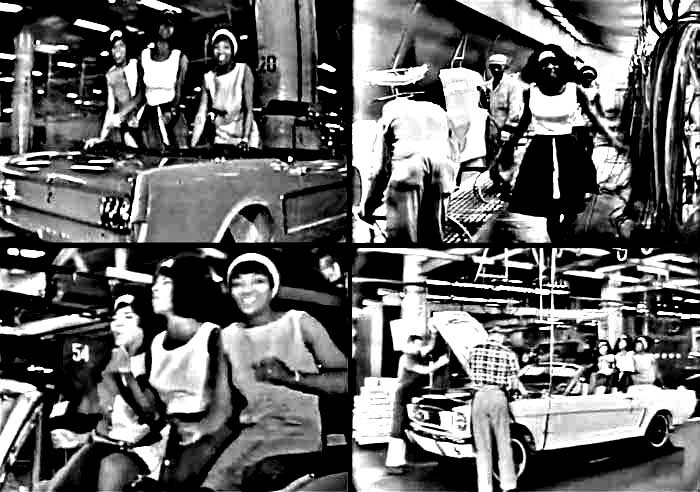 Detroit was at the forefront of the 20th Century American Dream. The fourth largest city in the US, it was also one of the wealthiest, housing the country’s earliest shopping malls. America’s first major freeway was built in Detroit to facilitate the increasing number of commuters into the city. A new century has seen the Dream, powered by the Big Three, slide into a nightmare for Detroit. Levels of black inner city poverty, hunger and unemployment have reached critical proportions, in grim contrast to the affluent white suburbs which surround the city. Director Julien Temple: "Detroit was the frontier city in the US, powering the American dream. What I find fascinating is the fact that it is still ahead of the game, becoming the first big US city to virtually fall off the map." The producer of the film: "It was a city at the vanguard of the future the world over, and it's post urban post-industrial chaos serves as a warning to the rest of the world. Despite its ruined landscape there is still hope, as those living within the city’s limits continue to fight for its survival, creating their own solutions such as urban farming and a strong network of young activists." 'Shot at the Ford factory in Detroit at 15.6.1965 and aired on the television show "It’s What’s Happening, Baby" this performance of Nowhere to Run lasts the two minutes and forty-five seconds it took to put together an entire Mustang. 'It's just a little graffiti, and yet its existence has caused a firestorm of legal wrangling as to who actually owns the work and the building that once housed it. Seems rather odd, until you take a closer look at who is responsible, where it was created and why it exists in the first place. The location: of all the derelict buildings filling the city of Detroit, one of the most famous is the former Packard automobile plant. As much as one would like to do something about the the 3,500,000-square-foot facility, nobody seems quite sure who owns the dilapidated building… nor is there any consensus on who should foot the bill for the massive clean-up project. Naturally, the abandoned Packard plant is a haven for vandalism. Nearly every surface that can be reached is covered in graffiti, some of it rather interesting. And valuable. 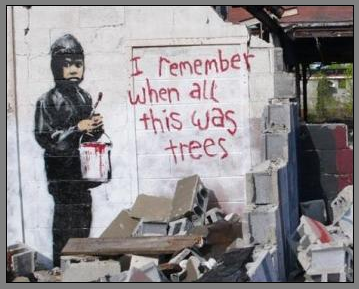 British-born and highly-secretive street artist Banksy recently descended on the decrepit Packard plant, leaving his mark behind in the form of an image of a young boy holding a can of red paint. Beside the boy are the words I remember when all this was trees. A simple message, but also a somewhat profound statement when viewed from the ravaged surroundings in which it exists. Or rather, once existed. Shortly after the art appeared, it was literally cut out of the building and transferred to a new site by a group known as the 555 Nonprofit Studio & Gallery. 'This just might be what the new new economy doctors ordered: a prescription for how to use out-of-the-box ideas to change the oh-so-tired narrative of Detroit as city of decline and distress to one of endless opportunity. Detroit Unreal Estate Agency's members 'produce, collect and inventory information on the unreal estate of Detroit: that is, on the remarkable, distinct, characteristic or subjectively significant sites of urban culture. The agency is aimed at new types of urban practices (architecturally, artistically, institutionally, everyday life, etc) that came into existence, creating a new value system in Detroit. 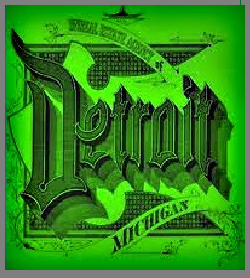 'Why the transformation of Detroit and other major Northern cities from magnets of opportunity to reservations for the poor? What was it that turned America's former industrial centers into economic backwaters, abandoned by manufacturers? What explains the high rates of joblessness among the urban poor? Why has discrimination by race persisted in both urban neighborhoods and workplaces? What explains the emergence of persistent, concentrated, racialized poverty in Rust Belt cities? Explanations abound for these questions, particularly in the large literature on the urban "under-class," the most influential body of scholarship to emerge on urban problems in twenty-five years. The "underclass" debate has moved in three sometimes overlapping directions. The first, and most influential, focuses on the behavior and values of the poor, and the role of federal social programs in fostering a culture of joblessness and dependency in inner cities. A variant, going back to the work of Moynihan and Frazier, emphasizes the role of family structure and unwed pregnancy in perpetuating inequality. 'But the New Deal state was riddled with ambiguities and contradictions that left room for opposing interpretations of what constituted proper government action. Most threatening to the seeming unity of the New Deal order were unresolved questions of racial identity and racial politics, dilemmas that would become inseparable from the mission of liberalism itself.